Dr. Ronald L. Boudreaux, a native of Lake Charles, graduated from Nicholls State University in 1981 and earned his M.D. at LSU School of Medicine in New Orleans in 1985. 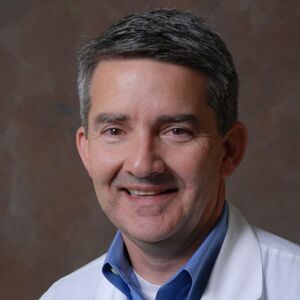 He completed his residency in Internal Medicine through Ochsner Hospital in New Orleans in 1988 and earned a fellowship in Gastroenterology from the University of Mississippi Medical Center in Jackson, MS, completing his program in 1992. He then joined The Baton Rouge Clinic and has been in the practice of Gastroenterology for more than two decades. Dr. Boudreaux is certified in Internal Medicine and Gastroenterology by the American Board of Internal Medicine and is a member of the Louisiana State Medical Society and the East Baton Rouge Parish Medical Society. He holds his medical license from the state of Louisiana. Married with three children, Dr. Boudreaux resides in Baton Rouge.